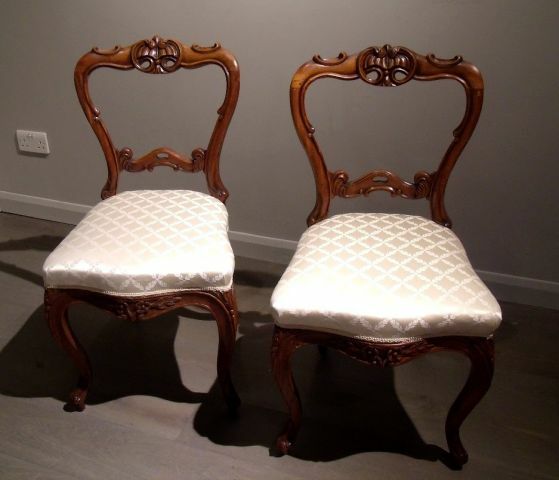 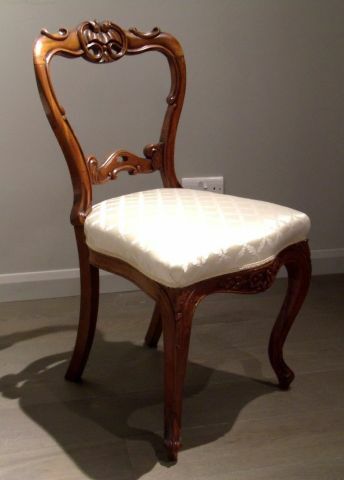 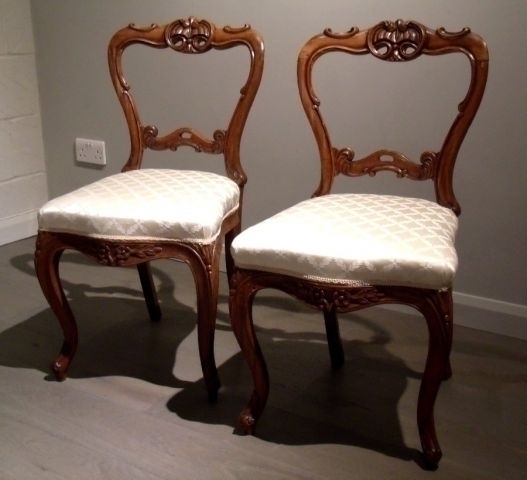 A very handsome pair of mid-19th C. carved solid satinwood chairs with upholstered seats. 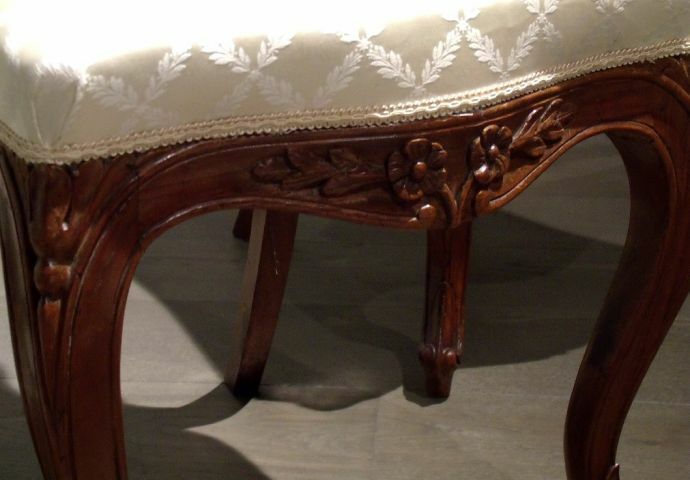 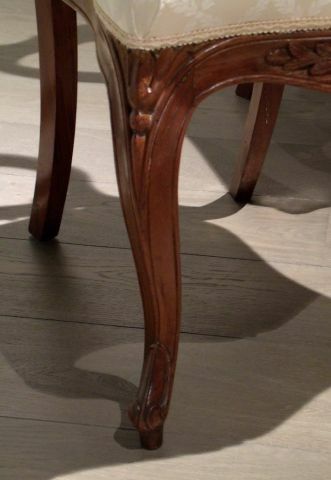 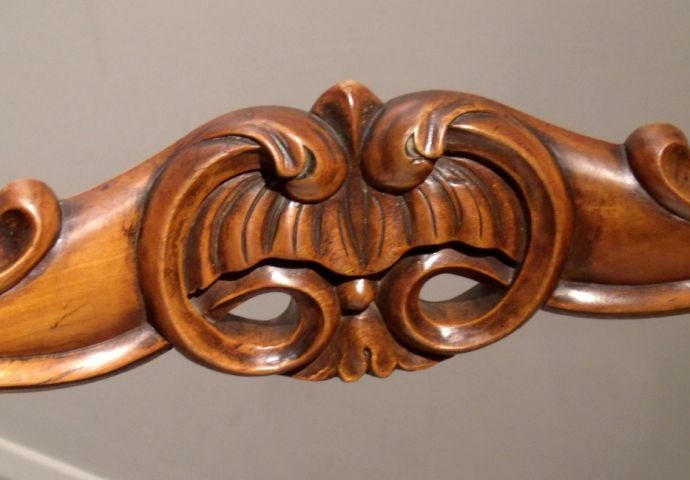 The chairs feature swept back and cabriole front legs with detailed carving along the front of the shaped seat and also across the back splat. 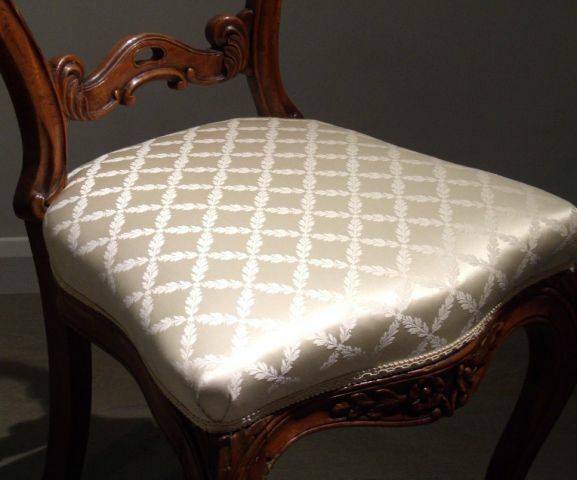 Each chair measures 18 in � 46 cm wide, 19 in � 48.2 cm deep and 34 � in � 87.6 cm at the highest point from the back.